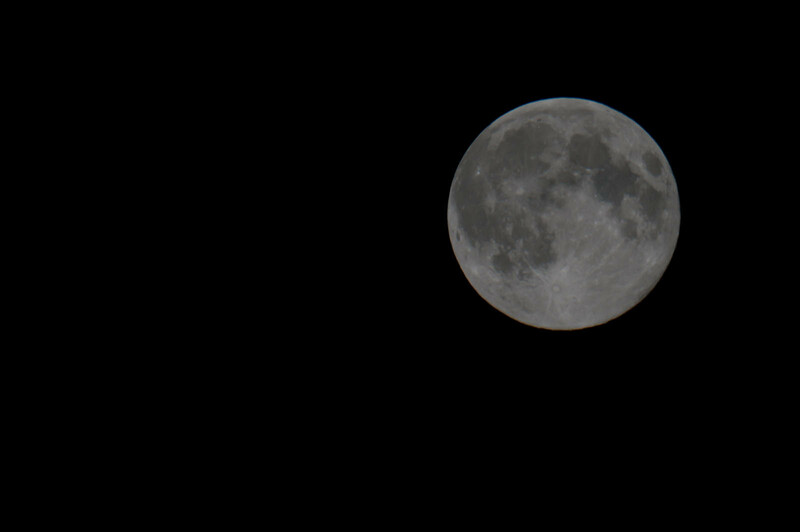 It’s not a crop, this is the full frame on the D300s (which is not a full frame camera, just for the records). I did many shots, improving the result bit by bit. 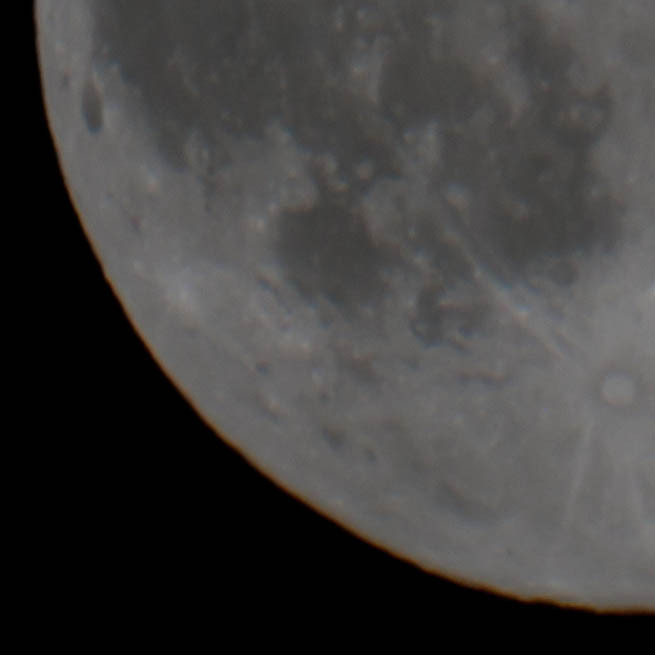 This is the best sharpness and detail I could get, and for a low-cost 800 mm lens this is a pretty good result ! There is some chromatic abberation on the rim. 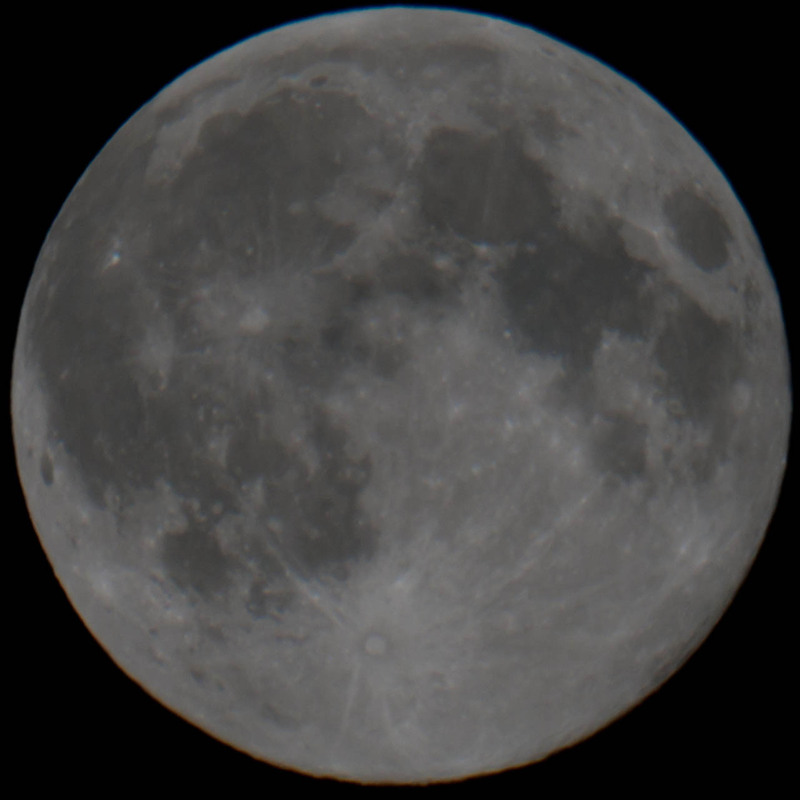 Also you can see that the sharpness is not up to the last detail, but keep in mind that there is still the Earth’s atmosphere between the lens and the moon which blurs the picture a little. And, in the end, it is a low-cost lens. Bottom line: It is definitely a lens for special purposes, as the technical simplicity limits the versatility (fixed aperture, no AF…). It’s fun to use such a high-focal range lens and the cost-benefit ratio is very good. Nice toy !